It's been a busy week for the team at OffWhite, with 3 websites launching in less than a week. 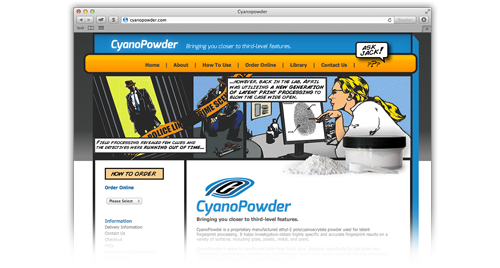 Friday, April 26 ended with the launch of the first website for new company CyanoPowder. The e-commerce website is based on the OffWhite design of the corporate logo, print materials, product branding and packaging. The website design is based on a comic strip concept that complements the forensic investigation product line. 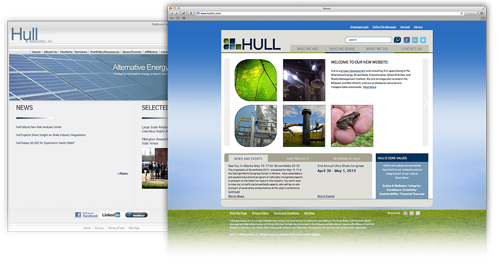 On Monday, April 29, Hull & Associates' new website was launched. The site features a completely new look and feel for the company that showcases the personalities and culture of the corporation, while integrating more interactive features such as social media, e-newsletters and forms for lead generation to engage clients and prospects. The site runs on the Ed.it2 Digital Marketing Platform. 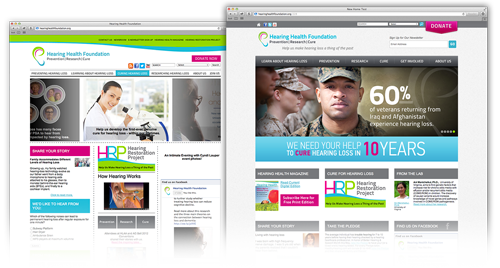 OffWhite launched the new Hearing Health Foundation look on Wednesday, May 1 in conjunction with the organization's Hearing Health Pledge Drive. The website, already running on the Ed.it2 Digital Marketing Platform, was redesigned to represent the new direction the Foundation is pursuing. The new design will be carried over into a blog that will be launching this summer. To learn more about OffWhite's web services, contact Jane Cirigliano or visit us at www.offwhite.com/digital.